Lowell School welcomes activist-authors Jack Hill, Dr. Eddie Moore, Jr., and Verna Myers for a discussion about the newly-released book, The Guide for White Women Who Teach Black Boys. 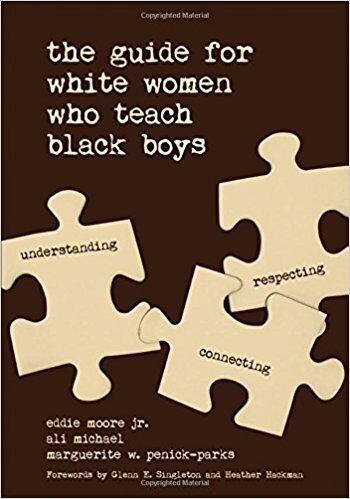 Join a conversation of national importance around the book’s main premise: white women make up 65% of the teaching force in America and can play a critical role in developing nurturing and challenging learning environments that help Black boys feel a sense of belonging and love at school. Books available for sale and signing afterwards. Open to the public, FREE, Donations welcome.